The story all begins with capturing sunlight. We challenged our engineers to develop a dome that automatically adjusts daylight harvesting throughout the day while achieving demanding thermal performance requirements. The solution? The industry's most advanced dome technology with the ability to virtually bend daylight. How much does a bounce matter? You'd be surprised. Every time a ray of light is reflected, a small amount of that light is lost. And even a few percentage points in reflectivity make a huge difference in overall performance. It's that attention to detail that led us to develop the highest performing tubing available. 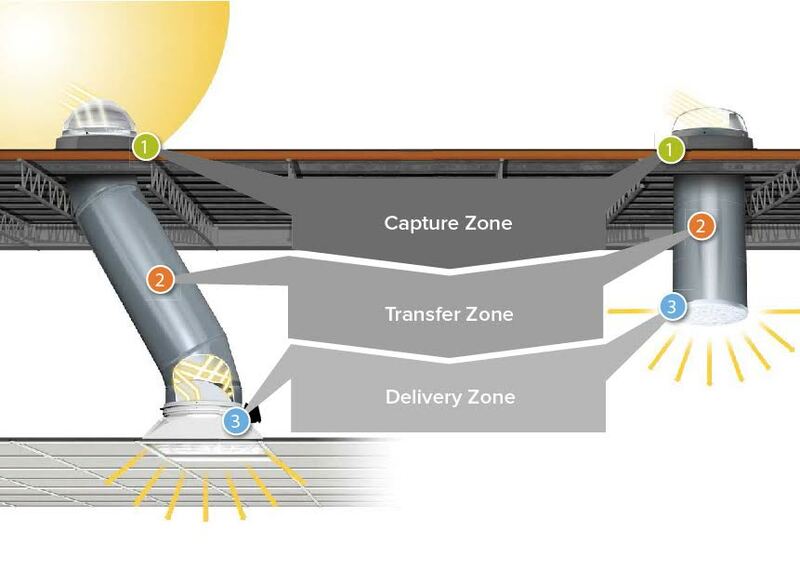 What makes Solatube Daylighting Systems unique? The ability to offer amazing control over daylighting a space. From light control to diffusion we've thought of virtually everything you need to bathe any space in pure, natural light.